Ivanhoe Girls’ Grammar School aims to challenge and inspire each student in their learning, help them develop the skills and confidence to strive towards achieving their personal goals, and contribute to the wider community. A proudly open-entry school affiliated with the Anglican Church, Ivanhoe Girls’ is firmly committed to providing the best learning environment for girls from ELC to Year 12. Ivanhoe Girls’ looks forward to supporting your daughter to be whatever she dreams of being — confident, courageous, articulate, resilient and ready to take on the future she chooses. Our Early Learning Centre, with Kindergarten and pre-Prep programs, provides girls with a range of choices that promote creativity, learning, caring relationships and a positive self-concept. 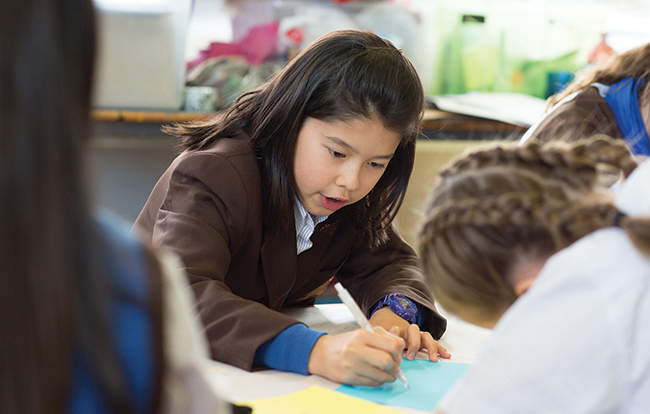 The Ivanhoe Girls’ Junior School, housed in a series of purpose-renovated Federation houses, offers a curriculum that is innovative and rich, providing sequential experiences that are planned to meet each girl’s learning style and stage of development from Prep to Year 6. At the heart of the primary years is a broad and challenging core curriculum that recognises the central importance of literacy, numeracy and diverse co-curricular opportunities, together with a strong focus on the social and emotional wellbeing of each individual. Ivanhoe Girls’ is very proud of the growth in our students’ learning as they move through the school. Almost every girl continues her learning journey into tertiary education, with the vast majority of students gaining selection into the course of their first or second choice.